If you’ve ever thought of purchasing an exercising bike, one thing that may have come up is the lack of space. The best folding exercise bikes overcome the space problem so that you can practice your cardio every day without compromising on space. Biking is well known to be one of the best ways to exercise. However, with so many options available, it can be quite confusing to select the right bike for your needs. Were going to help you in making that choice. 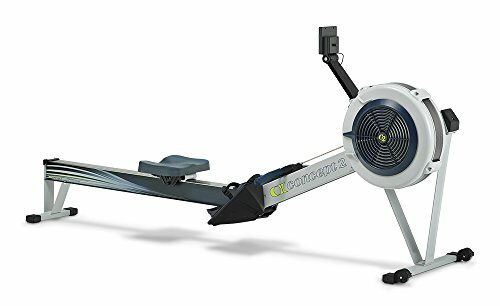 For more of my recommendations, have a look through these popular Women’s Workout guide links: Recumbent Bikes, Rowing Machines, Spin Bikes. We’ve reviewed the top rated folding exercise bikes, followed by a comparison table and buying guide to help you decide on the treadmill that will work best for you. These fold away exercise bikes can help in improving health and fitness through cardio but are also easy to store when not in use. These bikes each have different features, so let’s get to it! 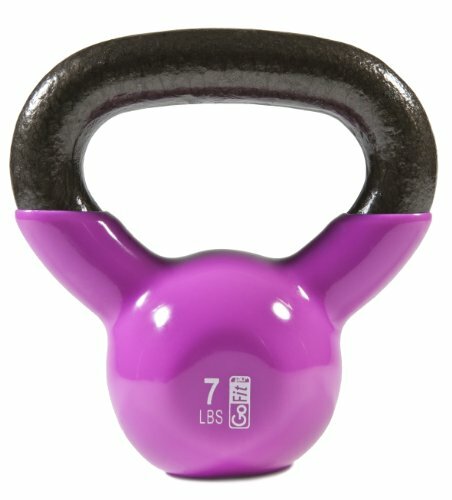 Marcy is a well-known brand name in the fitness industry. The brand has been going strong for the past 50 years and still shows no signs of stopping. This bike has 8 resistance levels which the rider can select from according to their fitness level. The best feature of the bike is how quiet it is. The bike makes little to no noise making it perfect for use in the home or even in an office setting. The seat height is fully adjustable which makes it suitable for women of almost every height and is very comfortable, even for long periods of time. Another nice feature we liked about this exercise bike is its smooth pedaling which makes cycling fun. In case one is too sensitive, the seats can further be further cushioned with a pad. It might be a good idea to buy the pad for the protection of the seat anyway. Another thing we liked is that the resistance is not that high. Although the provided resistance is sufficient for normal exercise, it might not be suitable for endurance training or someone who is very fit. Video: Overview of the Marcy Folding Bike. Otherwise, the bike is easy to assemble, easy to use, easy on space, and also easy on the pocket. 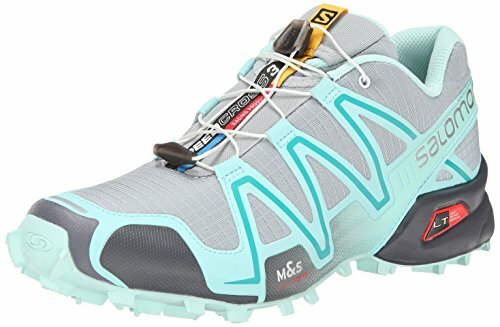 This makes it an especially good choice for beginners. We enjoyed this bike for everyday exercise and found the resistance levels relaxing. Some of us found the harder resistance levels challenging and a few on our team needed a bit more. Overall, its a tough call but we thought the Marcy was the best folding exercise bike. Like the Marcy bike covered above, this bike is a folding upright bike with a large LCD and heart rate monitor. What differentiates this bike from the Exerpeutic upright bike is the weight bearing capacity. This bike is made with 20% more steel and is able to bear 400 pounds of weight. The bike is also able to adjust to a wider range of heights, accommodating both shorter and taller users. However, it might be a problem for the people of the height lower than 5’1”. Another feature that is noteworthy for this bike is how comfortable it is, mainly due to the large seat. No special adjustments to the seat are needed for biking with the Exerpeutic GOLD 500 XLS. Each of the nuts and bolts required for assembly are numbered and the steps are clearly listed out for assembly making the job much easier. Video: Overview of the Exerpeutic 500 XLS Folding Bike. If you find yourself feeling uncomfortable with many folding bikes because of the shorter range of height adjustability, this is probably the best upright exercise bike for you. We have several taller than average people on our team and a few shorter team members and this bike was able to adjust to all of them very well. The process for adjusting the bike to them is simple so you can have several different household members using the bike, all adjusting it, and it isn’t a hassle. This fold away exercise bike is designed to make your workout fun. It is equipped with large display to show heart rate, calories burned however we didn’t feel is was as accurate in terms of distance as the previous models. The bike also comes with wide, comfortable seat and the design of the bike is sturdy enough to handle the weight of a rider up to 220 pounds. The bike is easy to assemble and comes with different levels of the resistance to allow you to challenge yourself. However, one needs to go through different nuts and bolts that come along in a big bag along with the package. 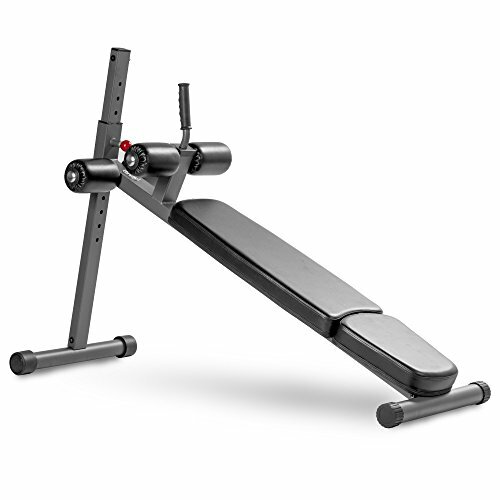 The ProGear 225 is a good addition to exercise regimen at home. It was very easy to assemble so we were trying it out in no time at all, even with the “sorting” of the hardware. 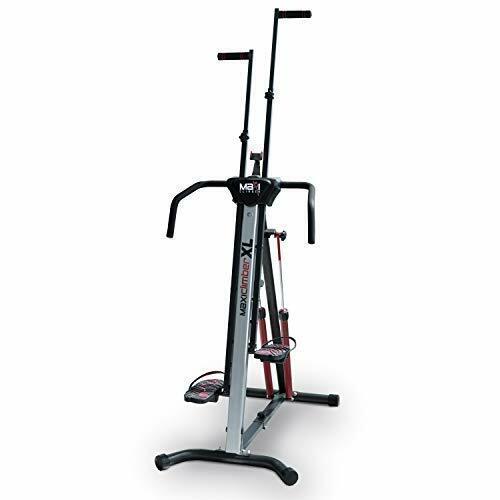 The second Exerpeutic bike on our list of folding stationary bikes comes with a pulse option. This allows you to measure your heart rate with the help of hand pulse monitor. This is helpful in ensuring you reach and maintain the optimal heart rate for cardio. The design of the bike is such that it can handle the weight of around 300 pounds and height adjustment from 5’3” to 6’1”. Another excellent feature of the bike is the large seat that has sufficient cushioning. The bike is equipped with a magnetic resistance system that offers 8-stages of the resistance. Also, the bike comes with a very comfortable pedal design that prevents your feet from slipping off the pedals when your really pushing it! We found the bike to have a stable, shake free ride. Even the LCD console is on the larger side which shows all the major features like distance, calories, heart rate, time etc. The console runs on a simple AAA battery system. One issue with the bike is that its pedals are too forward, and because of that it’s not really upright. This can be a bit of uncomfortable position for a few people. On the other side, the bike is sturdy and inexpensive. Many of the machines are not known for their heart rate monitors, but the heart rate monitor on this bike is accurate and helpful. The best feature, based on our extensive testing of the Exerpeutic Folding Magnetic bike was that it was so quiet. This is because of its magnetic resistance system and the solid, welded steel frame. The LCD display is easy to use and provides a lot of helpful information for those participating in regular exercise at home. We found this to be one of the best foldable exercise bikes tested. This portable exercise bike is designed keeping in mind all kinds of people: the tall, the short, the fit ones, and those just beginning a fitness regimen. Thus, the bike can handle the weight up to 225 pounds. It is fitted with an LCD display which is large enough to keep track of calories, time, and other features. The handles are fitted with a pulse rate monitor which measures the heart rate during cycling. The bike is fitted with casters so you can easily move the bike after use. The seat is large enough and can be adjusted in height for comfort. The brackets are also provided in the seat which can be used to hold a Kindle, an iPad or a tablet. Even a remote can be stowed on the machine. As this is another magnetic resistance folding bike, we found it just as quiet as the more expensive Exerpeutic GOLD 500 XLS. If you happen to want to exercise early in the morning, later at night, or even while the kiddos are down for a nap, this is the bike you will need. We also found the Xterra to be the best compact exercise bike that was easy to fold up and move out of the way, all in all a good choice! Biking is one of the best exercises in terms of the versatility it offers. Biking can be a good form exercise for endurance as well as for weight loss. Even physicians recommend biking as a way to strengthen the back and the leg muscles. Folding exercise bikes are a boon for city dwellers as they offer many advantages. The first and the most basic advantage is that they are easy to use. You do not need to travel to and from the gym in order to exercise as the same can be done from the relative comfort of your home. Folding bikes do not take up as much space as compared to a non-folding bike. In fact, many of the above-mentioned bikes can be folded in half and can be stowed in small spaces after their use. This makes them perfect for smaller apartments, shared spaces, or even just people who want to keep their folding bike out of the way and out of sight when not in use. There is a range of prices when it comes to folding bikes and there is something available for every budget. This makes these bikes an affordable form of exercise. Foldable exercise bikes allow the users to go through different kinds of exercise regimens depending upon their needs. 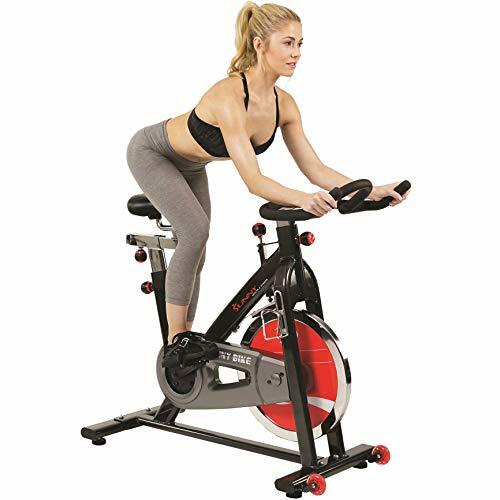 The different resistance level in the bikes makes the exercise level choices easy for all kinds of biking enthusiasts, based on their fitness level. Because of the above-indicated advantages, these bikes are perfect for users who are just getting started with biking. These bikes are also suitable for people who are trying to lose weight and find it difficult or too expensive to exercise in gyms. Many of the folding exercise bikes come with the consoles for the devices like Kindle, iPad, and the tablets. This allows the users to enjoy the entertainment along with the exercise. The above sections explained different features of the five best folding bikes offered and many advantages that these bikes can provide. But the question that arises now is how do you select the right kind of folding bike for exercise. There are many kinds of bikes available, but the best bike out there is one which fits in your budget. The budget should be the first thing to think of before making a purchase. The second factor that you should take into account is how fit you currently are and what level of exercise you need from your bike. Not all bikes offer the same kind of resistance. The choice of the right bike is dependent upon how much one is used to exercising. The third factor on the list is the weight bearing capacity of the bike. Some of the bikes can only bear 250 pounds, while other are made to bear weight up to 400 pounds. It is important to take this into consideration. If you are a taller or shorter than average user, you will need to be able to adjust the height of the foldable exercise bike. Make sure you look into the height adjustment features the bike has. 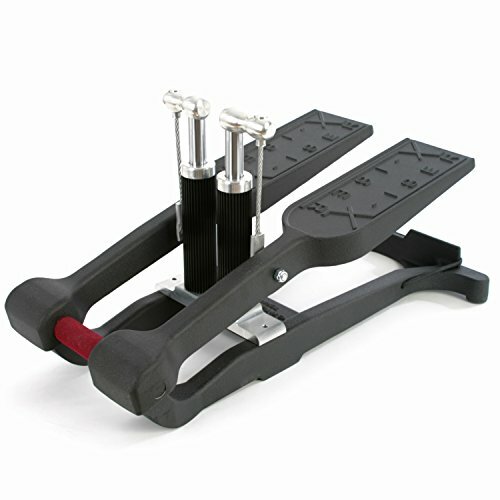 The user should be able to reach the pedals without any difficulty. The next point in the selection of the bike is the kind of seat it has. Comfortable seating allows the user to exercise for a long period of time without any issues. However, you should keep in mind that the seat can be changed or replaced with other comfortable options, provided the same fits into your budget. Exercise bikes also come with additional features that enhance your exercise routine. Some of the features include: bigger LCDs, brackets for holding your Kindle/iPad/tablets, pulse rate handles, etc. These features shall also be taken into account before making your final decision if they are things that you are looking for. Its better to buy more than you think you need so if you later decide its something you want you don’t have to replace the bike. Q: What are the Advantages of Indoor Biking? ‘A: Outdoor biking allows you to enjoy a variety of environments and terrain; but an indoor stationary bike has its own benefits. Convenience – With an indoor exercise bike, there’s no need to check the weather forecast. Depending on your whims and schedule, you can hop on your indoor bike both day and night. There’s no need to transport your bicycle to a trail or park, it’s right there in your own living space, which saves time and effort. Safety – Biking indoors removes the safety risks inherent in bicycling alongside traffic. Some of us live in bike-friendly communities. For those of us who don’t, an indoor exercise bike allows us to enjoy the activity of biking while not putting ourselves at the mercy of wayward drivers. Monitoring – Indoor exercise bikes offer bells and whistles that your traditional outdoor bike doesn’t. 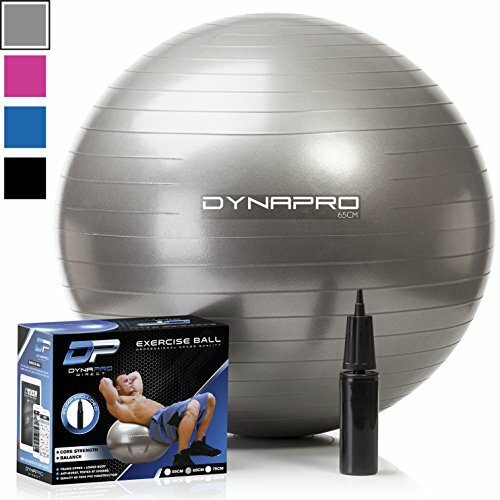 These help you monitor your fitness routine and progress. With their back-lit consoles, indoor bicycles can display your heart rate, distance, time, speed, and calories burned. Check out the different features our top-rated folding exercise bikes offer before deciding on the right one for you. Control – With their varying levels of resistance, an indoor bicycle allows you to have more control over your exercise experience. Q: What Is the Benefit of a Folding Indoor Exercise Bike? A: Folding exercise bikes offer the same fitness benefits as a traditional stationary bike, thanks to varying resistance levels, for example; and to the same functions that monitor pulse, speed, distance, calories burned, etc. The main benefit of a folding model is its portability. Gone are the days of having an bulky, unsightly piece of exercise equipment permanently displayed in your bedroom. A folding bike can easily be collapsed and moved into a closet for storage or into another room for a change of scenery. 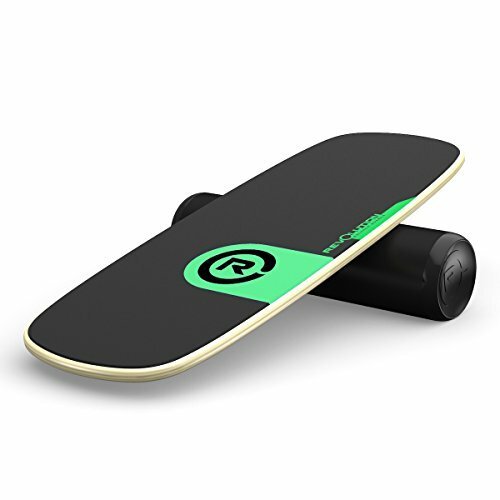 Most models include casters, or small wheels, which make it easy to roll or drag your folded bike to another location. Q: What is the Difference between Recumbent and Upright Exercise Bikes? A: You’ve seen recumbent exercise bicycles at the gym.They’re the models where you sit back against a backrest and your legs pedal in a more-or-less horizontal position. This design has become increasingly popular. A recumbent bike is less effective for getting your heart rate up, but it’s more comfortable if you enjoy tinkering on your phone or reading during exercise. It’s also a good option for someone who suffers from back problems. An upright bike looks more like a traditional outdoor design. Upright bicycles are better for working the core, as you must engage the core muscles to maintain posture and balance while riding. Taking care of your core muscles can actually help prevent back problems. In addition to the core muscles, an upright bike will help your heart get a better workout. Hands-down an upright bike is more effective for a challenging cardio workout than a recumbent model. Q: What Are the Benefits of Magnetic Resistance for an Exercise Bike? A: Exercise bikes are made with a variety of mechanisms to create resistance. Two examples include, magnetic and fan-based (think -spin class). The folding models use magnetic resistance exclusively. This is good news for someone considering an investment in a folding exercise bike. Magnetic resistance creates little wear and tear on the bike’s parts, meaning a longer life and fewer repairs. 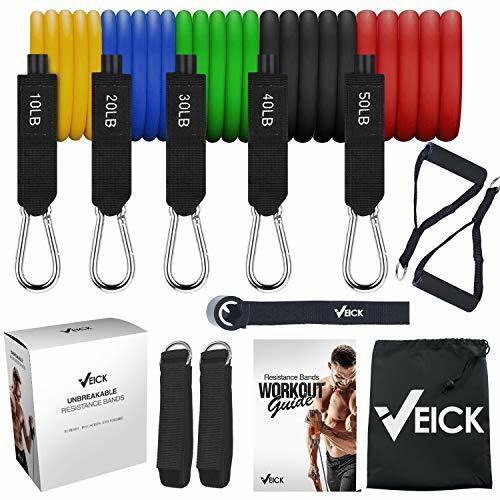 Other pluses of the magnetic resistance design include a quieter, smoother workout and the ease of adjusting resistance with the touch of a button. It’s Time to Start Biking! Folding exercise bikes are meant to make exercising easy and painless. By saving the time traveling to the gym and providing the exercise in the comfort of your home, folding bikes can make exercising less of a hassle. However, this is only possible if you select the right bike for you. Thus, it is essential to understand the features of the bikes before making your purchase. The purchase of a folding stationary bike can help with all kinds of fitness issues: weight loss, endurance training, rehabilitation after an injury/illness, or even just the fun of exercising to relax the muscles. Biking offers many advantages and folding bikes bring all these advantages right to your home. 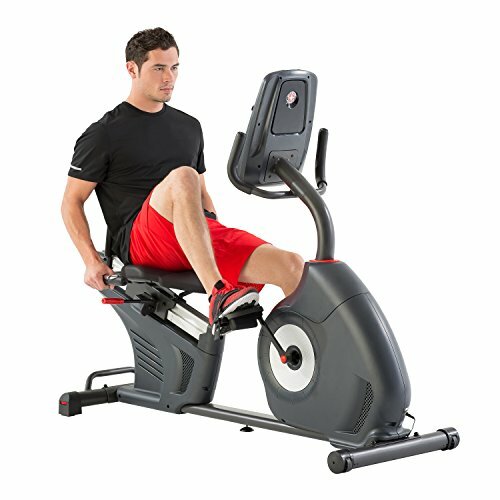 I hope this guide was helpful for finding the best folding exercise bike to fit your needs. If you want to comment or recommend an Ab machine I didn’t include, please use my contact form to get in touch. We found the Marcy Foldable Exercise Bike to be the best combination of features, comfort and workout of the bikes tested.